Just another new collage. 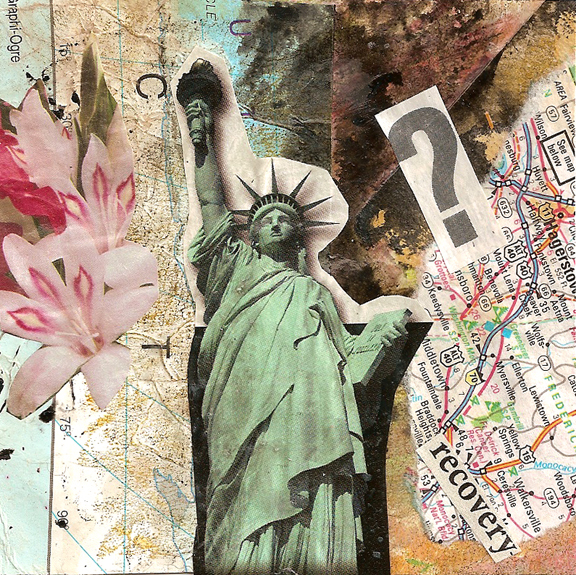 The main background composition was already created a few days ago and today all I added was Lady Liberty, the flower, and then I saw the word “recovery” in my stash of text. I wonder if we really are on the road yet. Today was cold, windy, and rainy, just perfect for huddling in the studio with my dogs and my wonderful pile of collage papers. I just couldn’t bring myself to get started until I spent some time sorting a lot of the magazine clippings and bits of paper into a more logical order. That took possibly an hour or more. Music from pandora.com was playing. The more I sorted, the more fun and interesting things I discovered — papers and snippets I had forgotten about. It was a great way to get inspired. 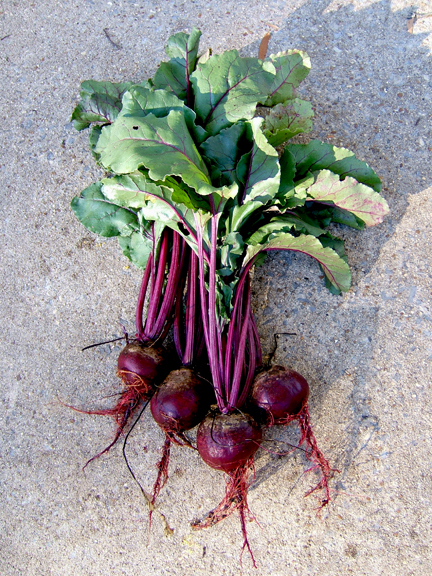 And here are my first beets of the fall garden season. Glad I took a picture, because they’re already eaten. The biggest one was a little bit smaller than a tennis ball. The tops are good too. They remind me of spinach. Then there’s the broccoli. I stuck my hand in the picture to show the size of the head. This is the second most mature of the plants. 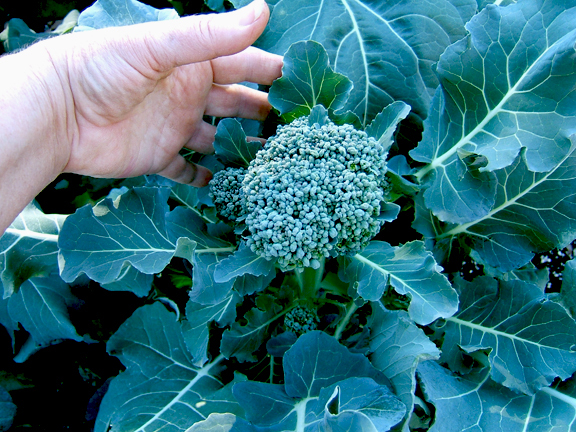 I already cut the first broccoli, because the first plant to mature had spent some time in the hot September sun and was bolting already. But it was delicious anyway. Now we have three more plants and should have quite a bit more before winter shuts us down. I’m a little worried about this recovery, hearing the distant drums of the tea party. The past 2 years give me an impression how much influence the president of the USA really has — or lacks. Eva, the tea party has no clue. It is scary. They are manipulated and don’t even realize it. I had great hope for a new direction, but now I worry too.